On Sunday the 23rd of April 2017 the BBC show, The Sunday Politics' London edition, included a piece with the current Lib-Dem MP for Carshalton and Wallington, Tom Brake. St Helier Hospital is contained within Mr Brake's constituency. During the 2010-2015 coalition Government, Mr Brake was a Minister in the Government, and he, along with many of his colleagues within the Liberal Democrats voted in support of a number of extremely damaging Acts of Parliament - not least the Health and Social Care Act 2012. 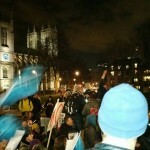 This pernicious Act, among other things, opened up the NHS to the private sector like never before, permitted NHS hospitals to obtain up to 49% of their "income" from treating patients privately, and removed the Secretary of State for Health's legal "Duty to Provide" a National Health Service in England - effectively abolishing the English NHS in legal terms. 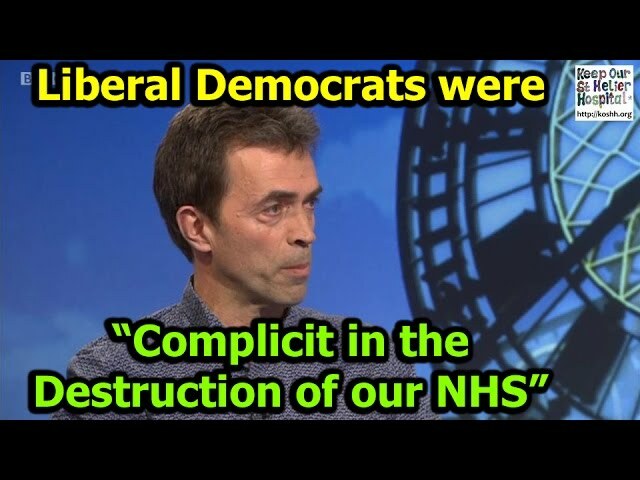 In addition to this, many Liberal Democrats voted in favour of the infamous "Hospital Closure Clause" (118/119) of the Care Bill, which permitted the Health Secretary to close hospitals with minimal consultation of the people it serves. The actions of the Lib-Dems during this period of history contributed greatly to the threat which St Helier Hospital currently faces. 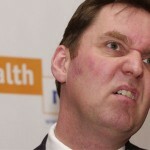 In this piece, Andy Slaughter, the Labour MP for Hammersmith (whose own constituency contains a hospital which is also threatened by Government closure plans, Charing Cross Hospital) pointed out that Mr Brake, along with his colleagues in the Liberal Democrats, propped up the Conservative Party during the coalition Government of 2010-2015. Please share this video, to make sure that the people of Carshalton and Wallington know what sort of man they have as their current representative in Parliament.